Dalry Thistle 0 Rutherglen Glencairn 3 (Ross, Kilmartin (penalty), Irvine). Pictures and a full match report (from the Glencairn website) are here. I only saw the first half hour of Kilbirnie v Kilwinning, but the Buffs missed some great chances before they did take the lead. Kilbirnie's first equaliser was a belter, but their goalie sold the jerseys for Buffs' second goal. I was gone by the time the second equaliser went in, but Buffs were giving as good as they were getting up till I left. Who scored for the Buffs today ? Moore sent off 1st half so well done to rest of the players involved . Dunno who told the ref to send him off but it worked oot well for us,we played far better withoot him.Get the striker and McAnespie signed asap. Yep 4 & 10 done very well still a few players no available due to holidays but played better 2nd half with 10 men . 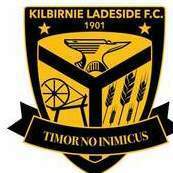 Kilbirnie Ladeside 1 (Boyd) Rutherglen Glencairn 1 (Ross). 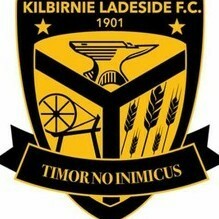 Kilbirnie Ladeside won 4-2 on penalty kicks. Pictures and full match report to follow. Moore slows the game doon,everything seems to stand still until the Millport ferry can get turned.Honestly struggle to see what he brings to the team. Wilson did well both games,unlucky with fk off bar.Borris has tons of energy,always wants to be involved.Disaster for Horne if thats a hammy he done. Really impressed with Dalry No8 in game against Buffs...anybody know who he is ?.Great run and pass for winning goal. aye borris looks the part for sure!! Wilson as well looked good.. Can't see moore getting game when diack comes in!! Diack, and if we get Boyd signed would keep Moore out the team i.m.o. McAnespie beside BeckenGair would be a great shout for our defence. Also impressed with Borris and Wilson as well as last seasons players. Although feel Darren McLean is letting himself down.